The temperature is getting warmer outside, which usually signifies a time of change. When it comes to your hair, sometimes a subtle change can make a big difference in your overall appearance. It’s only natural to feel a little nervous when making significant changes to your hair. To combat those nerves, grab some hair extensions and new hair products for Remy hair and start experimenting. You never know what style you’ll come across that you like. Here are a few options to try out that may be a little different from your normal look. Start this hairstyle off by creating waves as you would normally do. For some added volume and length, consider clipping in hair extensions. The secret to this hairstyle is making small braids to tuck behind your ear. This little difference to a traditional wavy hairstyle offers a unique perspective on your hair. The lob haircut has quickly become one of the most popular hairstyles in recent years. If you’ve gotten one before, it’s easy to understand why. People with curly hair often feel like they can’t pull it off the same way people with straight hair can. However, add in some curly bangs to your overall curly hair and you’ll have a lob everyone will envy. Messy waves don’t require many hair products for Remy hair, but you would benefit from using the best sulfate free shampoo you can find. While the appearance of the hair should have a messy look, you don’t want it to be frizzy or appear to be damaged. This hairstyle can be accomplished no matter how long your hair is. If you’re only interested in changing how your hairstyle looks without actually altering your hair, then hair accessories are your friends. Grab some pearls, barrettes, bows, scrunchies or anything else you have to experiment with. Mix and match to meet your desires, but you’re only limited to your own creativity with hair accessories. 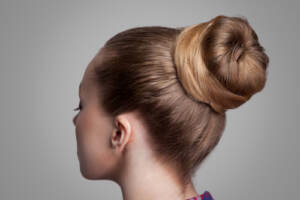 The classic bun comes and goes as a trendy hairstyle. It’s not necessarily a major trend today, so it would qualify as being a bit of a different hairstyle. Adding volume via hair extensions is a popular trend, however. The extra volume gives the overall style a more elegant look but doesn’t take you much longer to create. RemySoft loves hearing from people who want to experiment with their hair. There are so many different styles and options to incorporate, no matter what your hair type is. You deserve to love your hairstyle and sometimes minimal changes can make major impacts. If you’re ready to make a change, but aren’t sure what you want to do, contact us for some helpful tips. Are You Ready for the Vintage Hairstyle Trend This Spring? Sometimes the best new hairstyles are the ones you haven’t seen in a long time. These vintage hairstyles may have been popular a couple of decades ago, but have gotten lost in all of the newer looks. This spring may be the perfect time to bring back some of those vintage hairstyles if you’re wondering how you’re going to wear your hair. Grab your hair extensions and continue reading to see what the trendiest vintage hairstyles will be this spring. Winter is finally over, so consider brightening up your hair with warmer colors to match the warm weather. Warm tones like caramel and auburn are subtle, yet can make a huge difference in your hair. You can color all of your hair with a warm tone or just incorporate highlights at first to ease the transition process. Just be sure to ask your hairstylist how you need to alter your quality hair care routine to ensure the colors remain looking great for as long a possible. 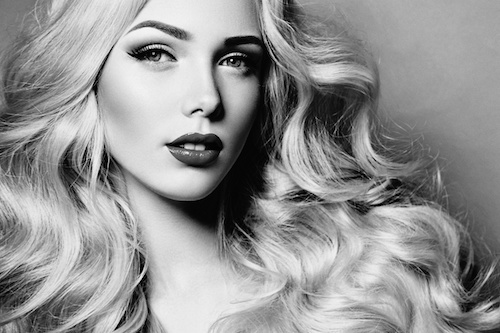 Another vintage hairstyle trend we expect to see this spring includes long, sleek and glossy hair. The wet hairstyles have been making various appearances recently, and they are so simple for anyone to pull off. You can stick with your natural hair or add in hair extensions for some added length and volume. Combine the best sulfate free shampoo with a quality conditioner to maximize the natural shine in your hair. Wear it straight or put it up in a bun and you’ll be rocking a vintage look. Whether you go with a single flower or a small bouquet of flowers, you’ll be sure to impress when you add them to your hair. Flowers were common as hair accessories many years ago and they could be coming back in a big way this spring. If you don’t necessarily want to change your hair color or your hairstyle drastically, then clipping in a flower or two can make just the right amount of change. If you have longer hair, this may be the year you chop it off and go with a short hairstyle. You can always use hair extensions if the length is a little too drastic at first, but one thing for sure is shorter hairstyles are becoming trendy again. The only challenge is finding the right style that fits your face shape and highlights your best features. Something about a short hairstyle can rejuvenate someone who typically has long hair, so consider giving it a shot. RemySoft is all about incorporating vintage hairstyles. We love revisiting past hairstyle trends and incorporating them today. It’s amazing how many options you have when you work with hair extensions, but even if you aren’t a fan of them, you can still rock a timeless style. Be sure to contact us today to learn more about what quality hair care products you need to help you pull off the hairstyles you desire. A lot of the trendy hairstyles today include waves or loose curls. But there’s something about a curly hairstyle with tight curls that is still attractive and looks amazing. Have you ever seen someone with natural looking tight curls and immediately assumed they just have naturally curly hair? 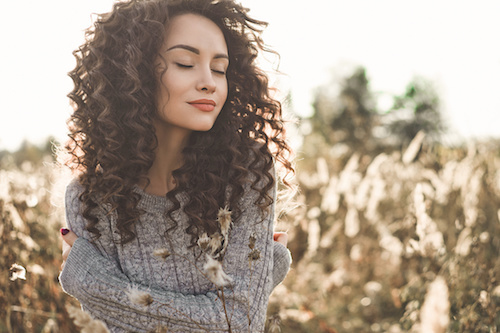 Most people do, but the truth is with the right quality hair care routine, you can achieve similar curls even if you have straight or wavy hair. Here are simple tips to help get you started achieving a naturally curly hairstyle on your own. One of the secrets to tight curls is to have a lot of volume in your hair. You can achieve this by consistently washing with a great sulfate free shampoo, clipping in hair extensions or giving your hair a good salon blowout if you already have naturally long hair. To maximize your volume with a salon blowout, flip your hair over the top of your head and blow dry it upside down until it’s completely dry. This will make your hair roots get dry in a lifted up position and create amazing volume. Now that you’ve got the volume you need, the next secret is to curl your hair in small sections to achieve those tight curls. You want to stick with curling about ½” sections at a time, just so each hair strand will get the most possible heat from your curling iron. The bigger the sections are, the looser the curls will be. Continue curling your natural hair and your hair extensions in this manner and you’ll be amazed at how tight and natural-looking your curls are. Since you have to curl your hair in small sections to achieve this hairstyle, patience is required. You don’t necessarily have to spend hours on it, but the main thing is to ensure your sections aren’t too large. And once you’ve curled every section, you can look into some quality hair care products to maximize the hold so it will look great all day long. Your patience will be rewarded and you may even surprise yourself with how curly you can get your hair at home. At RemySoft, we love it when people want to get creative with their hair and try something they’ve never done before. 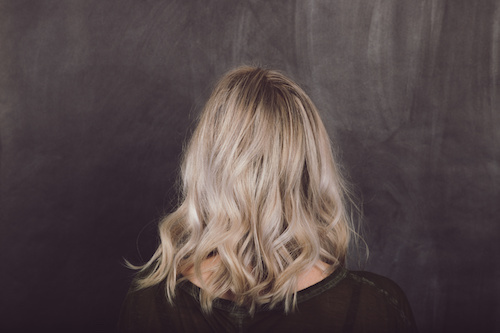 Even something as simple as having a curly hairstyle when you have naturally straight hair is a big step sometimes, and we want to help make sure your efforts are successful. If you have any questions about quality hair care products or anything else about your own hair, feel free to contact us at any time. 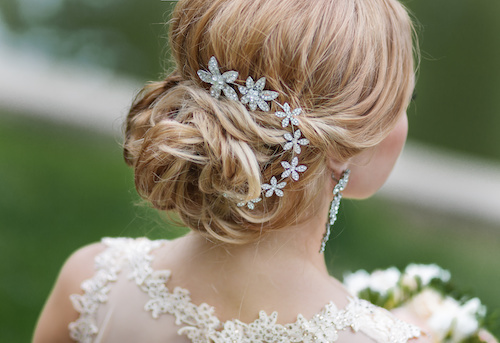 Your wedding day is arguably one of the most important hair days of your life. The entire day itself is a magical time and the pictures resulting from it will last forever. Whether you’re getting married in two months, ten months or even longer, it’s never too early to start preparing. Altering your quality hair care routine now can lead you to the healthy and glamorous hair you desire on your wedding day. You don’t necessarily have to decide what your hairstyle will be now, but these tips will help ensure you can achieve it when the time comes. Washing your hair too many times each week can put unnecessary stress on your hair, possibly dry it out and make it brittle. When your hair gets too brittle and starts breaking, sometimes it seem like you can’t get any hairstyle to look right. Instead, cut down your washing sessions to every 2-3 days and always use a sulfate free shampoo. Taking these steps will strengthen your hair and keep it healthy at the same time. Heat tools can cause similar issues as washing your hair too much. Your hair can become brittle and dry, not to mention damaging it to the point where it won’t grow out as easily. Many people like to grow their hair out so they have plenty of options for their wedding day hairdo, so limiting heat tools will help it grow out quicker. This alteration to your quality hair care routine may mean you need to allow yourself more time to style your hair in the morning, but you’ll see it’s worth it on your big day. The easier you are with your hair, the better it will look. Incorporate a sulfate free shampoo for a gentle cleaning, use wide-toothed combs instead of harsh brushes, only brush your hair when it’s mostly dry, use sun protection for hair when outdoors on a sunny day and limit the use of heat tools. Shifting your quality hair care routine just to focus on these points will go a long way in making your hair look great for your wedding day. And finally, don’t stress if you have a bad hair day or two. We all have them. Stick with your routine and best hair care practices and your hairstyle will be amazing. RemySoft loves helping both men and women discover their perfect hairstyle for their wedding day. Sometimes people are lucky enough to have ideal hair for the style they want to do, while others have to start growing out their hair several months in advance. Either way, you have plenty of options and can take these simple tips into consideration to increase your chances of pulling off your desired hairstyle. Feel free to contact us at any time for more tips like these if you have a wedding or any other big event coming up. Have you ever noticed the hottest hairstyle trends typically originate from the runway? 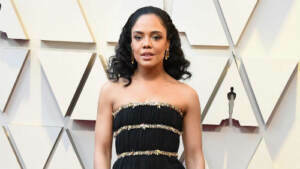 Celebrity hairstyles are always critiqued down to the smallest details, and one of the reasons why this is true is because the average person wants to know how they can accomplish the gorgeous hairstyles themselves at home. You would be surprised at how simple some of the hairstyles are and how much shiny hair extensions plays a role in creating them. Here are some of the most popular hairstyles we’ve seen on the runway over the past several months and how you can incorporate them into your portfolio of hairstyles. Putting your hair into a bun may not sound like the most glamorous hairstyle, but you can polish it up to the point where it looks amazing. Two secrets for a sleek tight bun are using shiny hair extensions and twisting up the hair in different sections. The more hair extensions you use, the bigger the bun will be. The polished look will match well with any wardrobe type and allows you to highlight your facial features as well. Whether you prefer tight braids, loose braids, small braids or voluminous braids, one trend on the runway has been braids with length. A combination of shiny hair extensions and sulfate free shampoo can make working with braided hair easy and look slick and polished. A popular hairstyle with long braids starts out being styled at the top of the head like a high ponytail, but then the braids get draped over the front of the body instead of flowing down the back like traditional styles. People with curly hair often struggle with whether to incorporate bangs with their hair or not. But when you see celebrities who have done it, your decision will be made much easier. The main secret to having curly bangs is to use the proper hair products to fit the type of curls you have so they will hold their shape. This could be a good leave in conditioner or other products to maintain the perfect amount of hydration in the hair. Hair barrettes are making a major comeback and it’s evident when you look at celebrities on the runway. You can use barrettes in virtually any hairstyle and instantly make it look more glamorous. We’ve seen them used in basic ponytails, braids, curls, waves or even straight and sleek hairstyles. Anyone can enhance the appearance of their hair with barrettes and you’re only limited to your own amount of creativity. RemySoft always analyzes the most popular hairstyles we see celebrities have on the runway so we can offer tips to our customers. We get as much inspiration from these hairstyles as you do, and most of the time we can’t wait to clip in our shiny hair extensions and start experimenting ourselves. If you’ve been inspired by any particular hairstyle recently, give us a call to discuss it and see how you can put it in your portfolio of hairstyles. With the busy lives we all have on a daily basis, sometimes it’s hard to be motivated to put together a glamorous hairstyle. But when it’s time for a date night with your significant other, setting aside enough time to do your hair is a must. Some of the most romantic hairstyles are made easy by clipping in hair extensions or using different hair products for Remy hair. 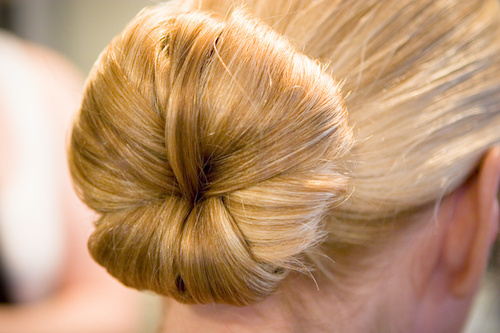 Here are some inspirational hairstyles you should consider for your next special date night. This hairstyle looks like it would take hours to accomplish, but the reality is it’s quick and easy to do. Simply braid part of your hair and tie it up around your head like a crown, then make the bottom half of your hair have loose waves. The half-up technique with the crown braid is sure to impress your date, and you can always add hair extensions if you want a little more length or volume. If you like the idea of a braided crown, then take it a step further by including two separate French braids on both sides of your head. The half-up and braided hairstyle has more emphasis on the loose waves than the braid itself, but this one is the opposite. With the elegant French braids, it will truly look like you’re wearing a crown and give your whole appearance a more polished look. There’s nothing wrong with making your hair look as straight and shiny as possible. The key starting point is using a quality sulfate free shampoo and conditioner and then use the right hair products for Remy hair to tame it down and give it some shine. If you have naturally straight hair already, then you won’t have any problem pulling off this look. Incorporate some bold jewelry and makeup to really make your entire appearance look sleek. Something about a wavy hairstyle just screams glamour. No matter how long or short your hair is, you’re a good curling iron and some hair products for Remy hair away from having beautiful waves with minimal effort. The key to this hairstyle is making the waves loose and free-flowing so they don’t get confused with curls. Simply running your fingers through your hair after curling can make them bouncy and elegant for your date night. At RemySoft, we believe the best-looking date night hairstyles don’t have to take hours to accomplish. Too many people stress over making their hair look perfect, when in reality they may actually be trying too hard to achieve their desired look. Date night is always a special night, so contact us in advance of your next one for styling tips and to make the best impression with your hair. Everyone has their own reasons for wearing hair extensions. Sometimes you just want to add length without waiting for your hair to grow out. Other times you may have the right length, but need a little help with volume. No matter your reason for wearing hair extensions, there’s no doubt they can make styling your hair much easier. With so many different ways to wear them, ensuring you’re styling and caring for them correctly can save you a lot of time and create the best looking hairstyle. 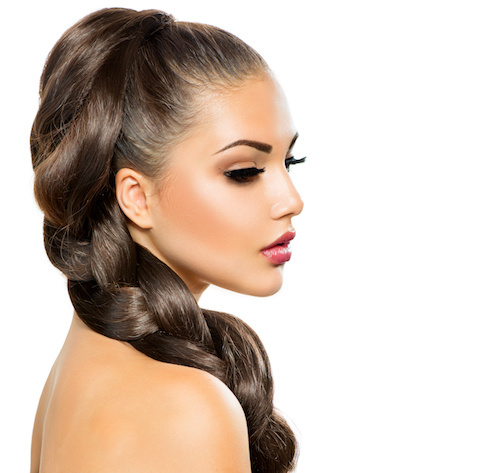 Here are some tips you may not have thought about when working with hair extensions. When you have a big event to get ready for, you want to make sure your hair looks fresh and stylish. This can take some time getting ready in the morning, depending on your quality hair care routine, even if you clip in hair extensions. One great trick is to style your hair extensions how you want them to look the night before. That way you’ll save time in the morning and not have to rush to make sure they look exactly how you pictured them. If you have naturally layered hair, you can keep the layered appearance going by clipping in your hair extensions diagonally. Sometimes you have to try it to actually believe how it works, since it seems impossible to have a layered look with extensions. Try this if you want to do change up your hair a little bit. Clipping in your hair extensions upside down will create a smooth look by eliminating any bumps where the clips themselves are. Many people have a hard time creating a smooth ponytail when they use hair extensions, so this hack will help you achieve the smooth look with very little effort. Using a traditional hair brush is not ideal when learning how to care for hair extensions. These brushes can pull the hair slightly and make the wefts move out of place. 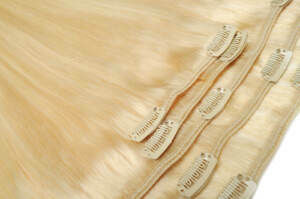 Some brushes are designed specifically for hair extensions, since they are made of nylon bristles with loops. You’ll be able to brush your hair with confidence knowing the extensions will remain in place after you’ve clipped them in. A hair extension hanger is a very underrated accessory to have if you wear extensions often. You can style the extensions however you want to when they are on the hanger, rather than waiting until you clip them in. Not only are they easier to work with this way, but they also make your quality hair care routine quicker and easier in the morning. RemySoft always likes to inform people about the easiest ways to go about styling their hair. We are a firm believer in hair extensions as being a way to make a simple look turn into an amazing hairstyle. When you incorporate some of these tips, you’ll reduce the amount of time spent on your hair without sacrificing the appearance. Never hesitate to contact us for more ideas and inspiration about how to use your extensions effectively. The spring season has always been the most common time of year for people to experiment with different hairstyles. After being stuck indoors for a good part of the fall and winter months, sometimes it just feels nice to give your appearance a fresh new look. 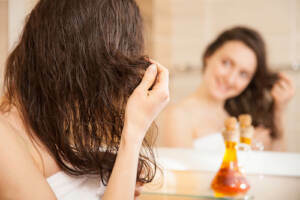 While completely transforming your quality hair care routine is entirely possible, you don’t have to make a drastic change to your hair to create a significant impact. Incorporating hair accessories into your existing hairstyles can make a world of difference. Here are three popular hair accessories you’ll see this spring and may consider trying out for yourself. You can make as big of a statement as you want with all the different headband options available. A solid black one may be ideal for a casual night out, or you could wear one with a certain mix of designs and colors if you really want to make your hairstyle stand out. Possibly the best thing about headbands is they can make your hair look great, even if you forgot to use your hydrating shampoo and you’re having a bad hair day as a result. 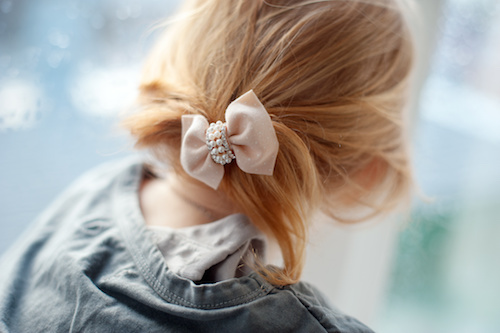 Hair clips and barrettes can make a simple hairstyle look glamorous, depending on how flashy the accessory is itself. It’s amazing what a shiny barrette can do when you add it to a simple ponytail. And when you create more length with hair extensions, you can incorporate even more of these accessories. Feel free to mix and match different types until you achieve the look you’re going for. With so many different colors, styles, shapes and other options, you’re only limited to how creative you want to be. Some cute bows are essential to have in your quality hair care collection. There will always be times when you simply want to pull your hair back into a ponytail and not spend a lot of time on it. Taking a few extra seconds to put in a bow will make your ponytail look extra special, and other people won’t even guess it’s your lazy-day hairstyle. Bows with solid colors are always popular, but you can also get different patterns depending on how bold you’re feeling. It’s always good to have a mix of different colors and styles to fit your mood for any given day. RemySoft is a big fan of hair accessories that make a simple hairstyle look even better. When you’re looking for different hairstyles to try out, think about adding hair extensions and some accessories and you can experiment without having to make any drastic permanent changes to your hair. You may end up finding the perfect combination you wear for the majority of the spring season. Be sure to contact us at any time for tips and advice on how to mix and match your hair accessories to achieve your desired look. 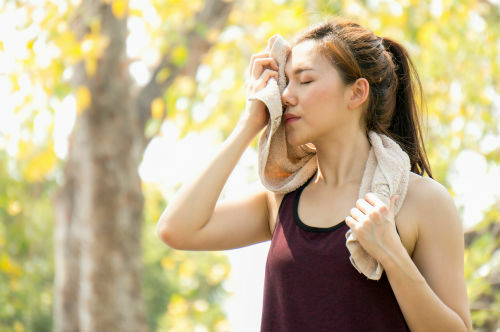 Have you ever skipped a workout because you didn’t want to mess up your hair? We’ve all been there and done that. Nothing can mess up a good looking hairstyle like a sweaty workout, so our first instinct is to just skip it all together. Besides, you may have spent an hour or more on your hair only for it to be messed up in a matter of minutes. We are here to provide you with some quality hair care tips to maintain your great looking hair without having to skip your gym sessions. Here are some secrets you may not have known about. Moisture is the main culprit that ruins a perfectly good hairstyle. Dry shampoo can work wonders to get rid of the excess moisture, and you may have different hair products for Remy hair you like to use as well. And while it’s always ideal to air dry your hair every chance you get, your blow dryer is a life saver in these situations. 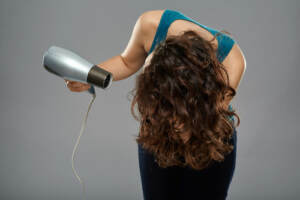 Flipping your hair down and blow drying it can closely imitate a salon blowout, which will give you the volume you desire and may not even look like you had a workout a few minutes prior. Clipping in hair extensions is a perfect shortcut when you don’t want to carry around your blow dryer or hair products for Remy hair. It’s still important to dry your hair completely before clipping them in, though. And once you do, you can blend them in effortlessly for instant volume and length. Hair extensions have saved everyone when they’re in a pinch for time, so having a set with you is always a great idea. Sometimes you just have to embrace your hair for how it is after a gym session. Many people choose to simply slick it back in a ponytail or a bun and add some hair products for Remy hair to give it the right amount of shine. It’s easy to create a sleek look without a lot of frizziness, as long as you don’t overdo it with hair products. Try out different simple hairstyles and you may find they don’t look as bad as you expected, and others may not even think you just got done working out. RemySoft wants to help everyone live their life how they want to, while still maintaining the perfect hair they desire. Having the right collection of hair products for Remy hair is important, as well as having a good quality hair care routine. It’s good for your physical and mental health to exercise regularly, so don’t let your hair stop you from doing so. If you ever have any questions about how to maintain your hairstyle without altering your quality of life, contact us at any time for some valuable tips.